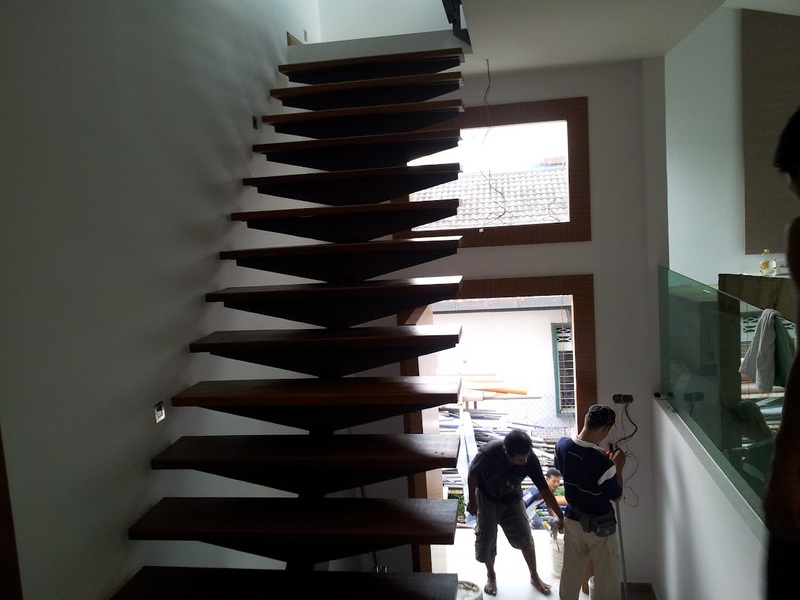 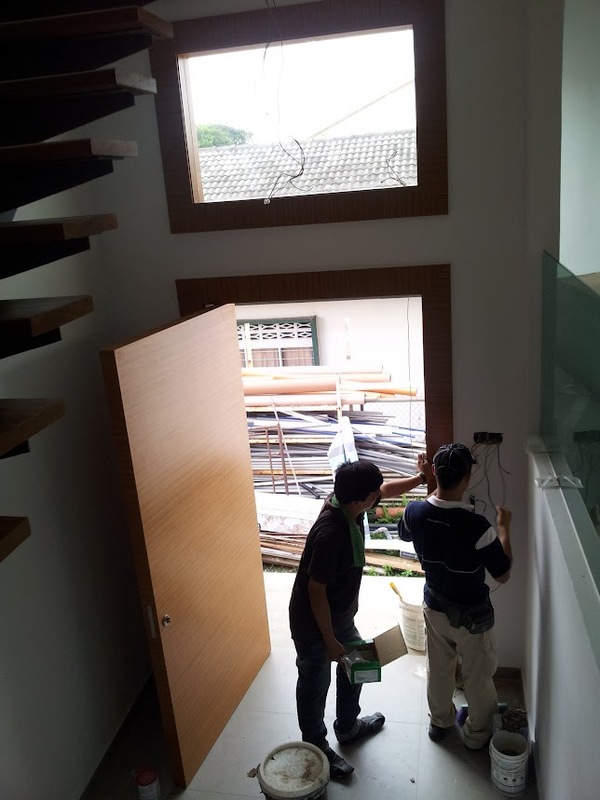 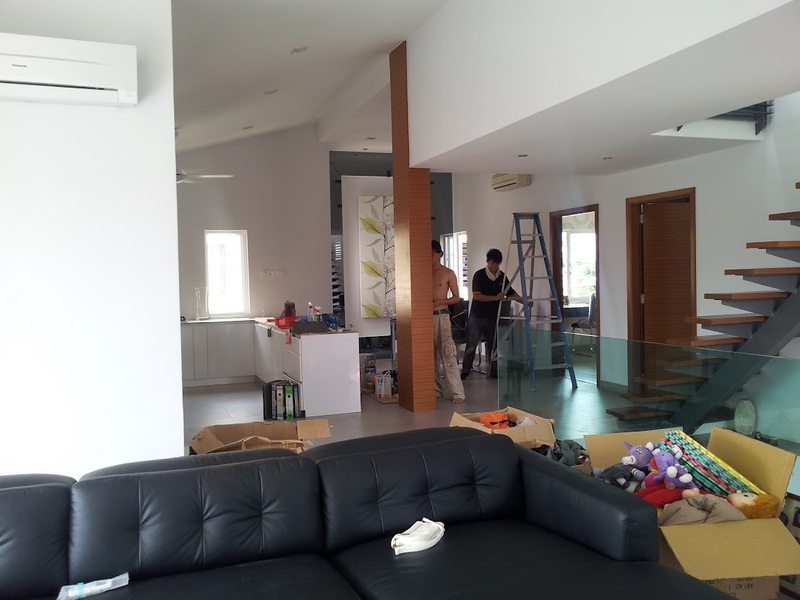 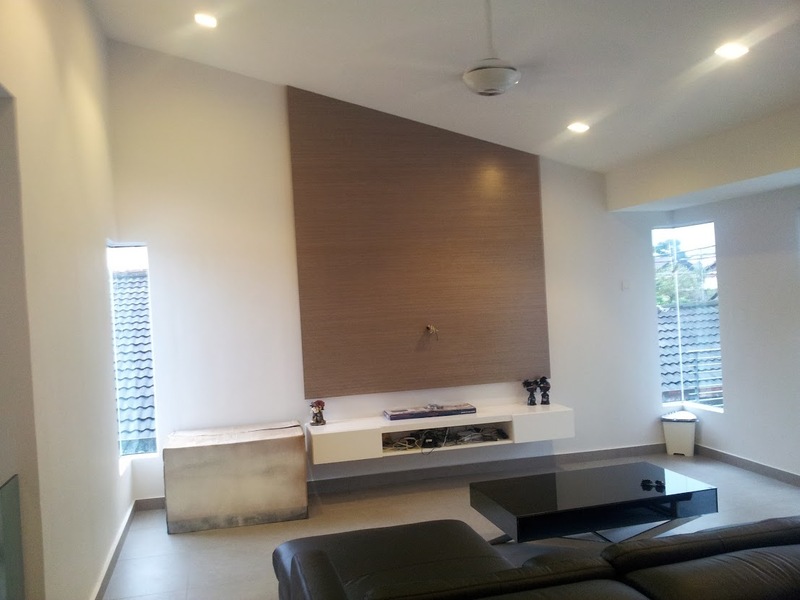 House design and build for Mr. Liow at Seri Kembangan. 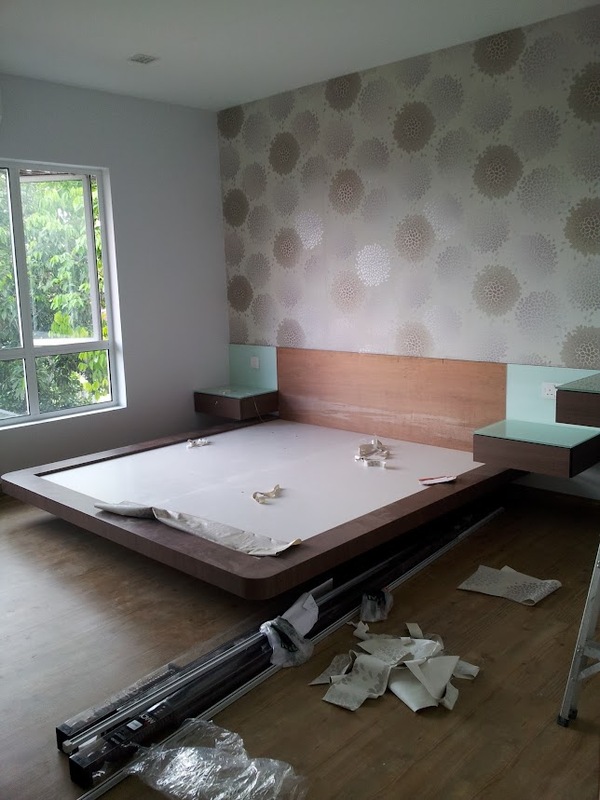 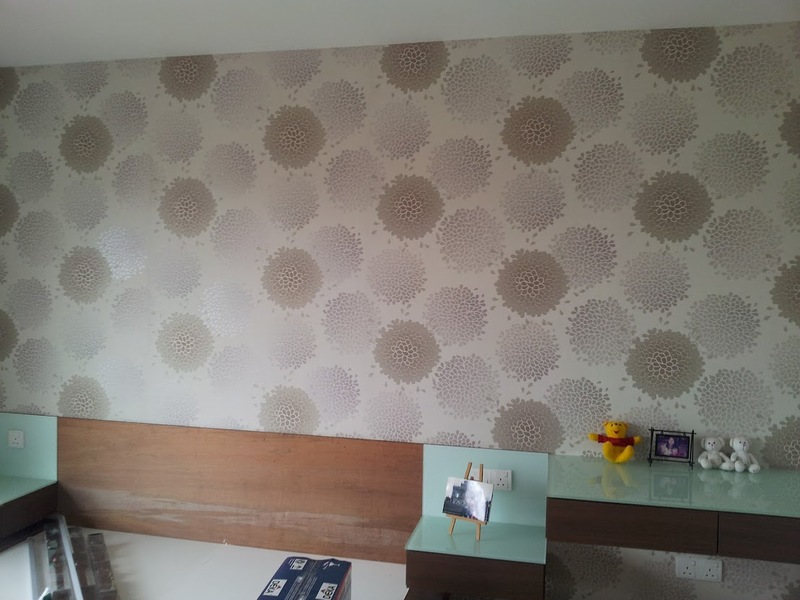 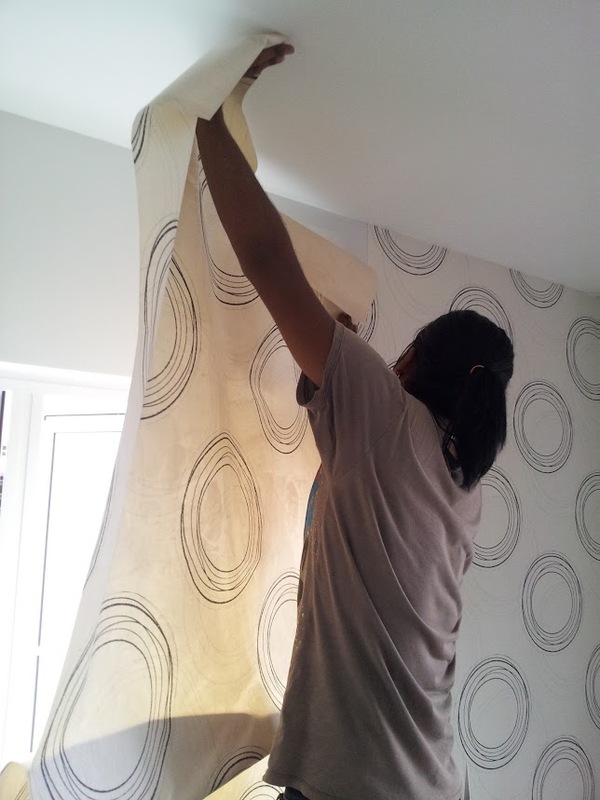 Project scope: Interior design and build for existing bunglow house, ceiling, flooring, wall decor and furniture. 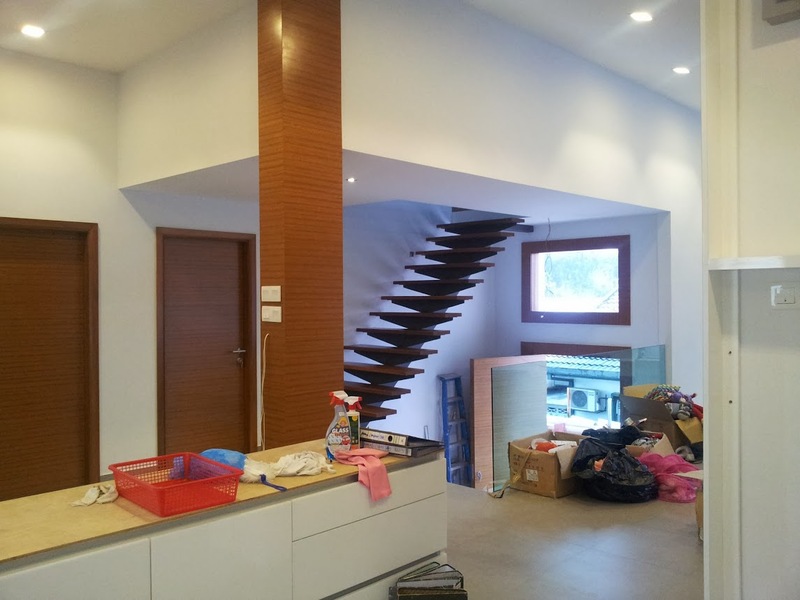 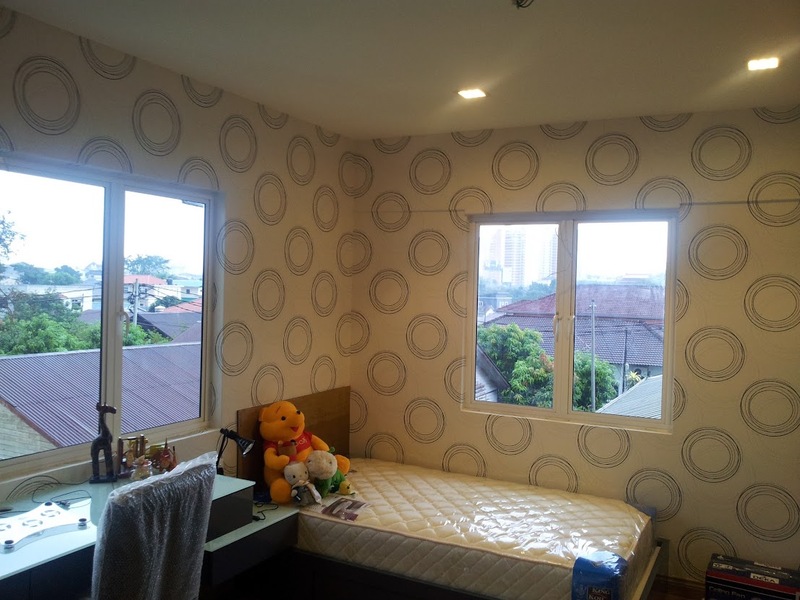 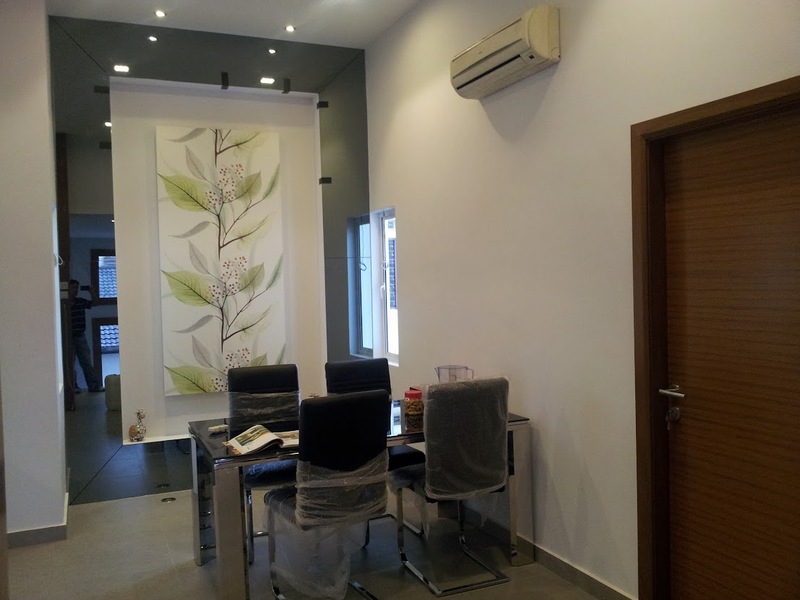 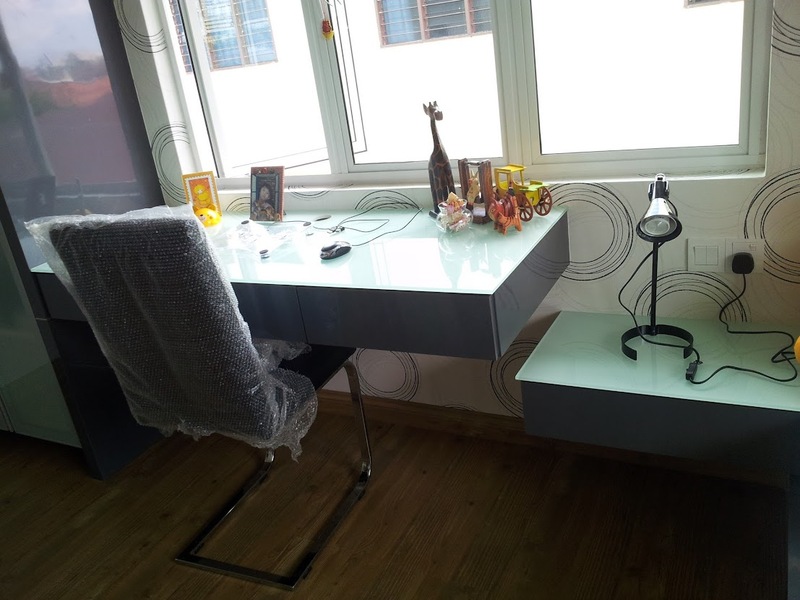 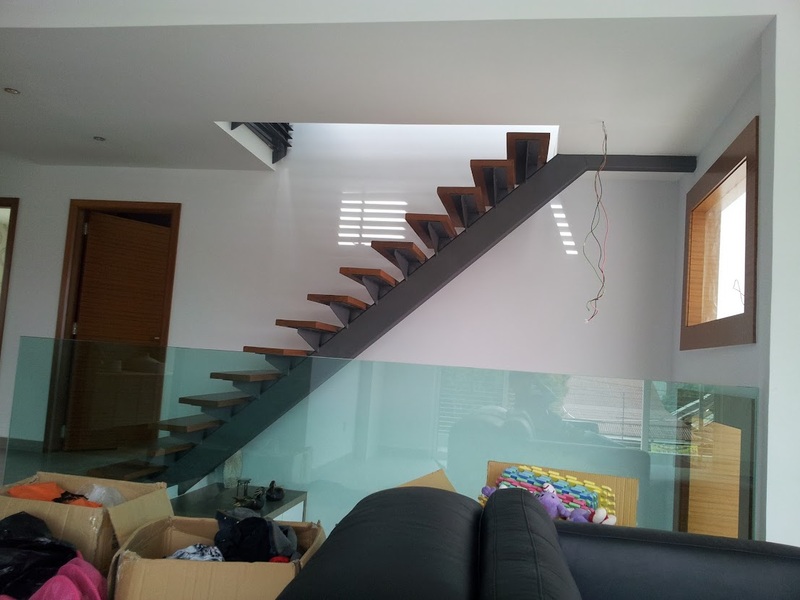 Capacity: 3 bedrooms, kitchen, living, dining, toilet and 1 x mezzanine floor with study room. 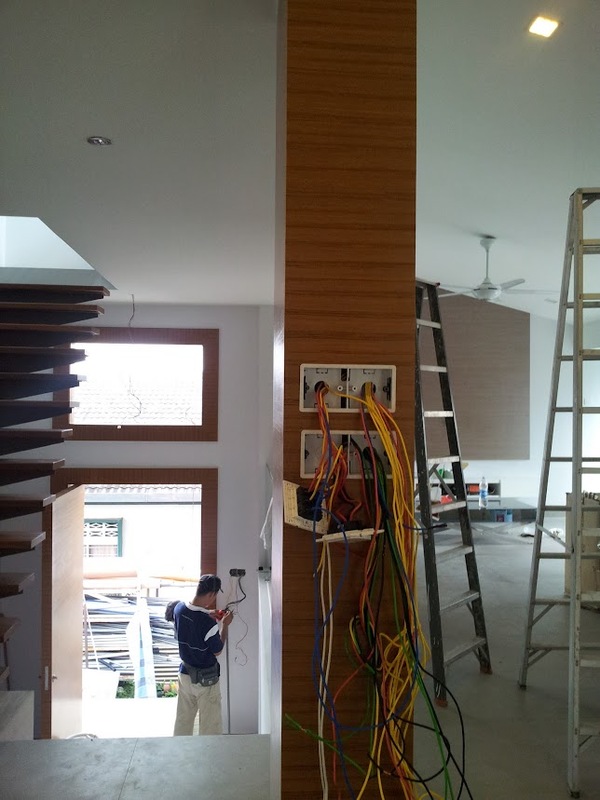 New ceiling, wiring, wooden panel to cover column and door installation. 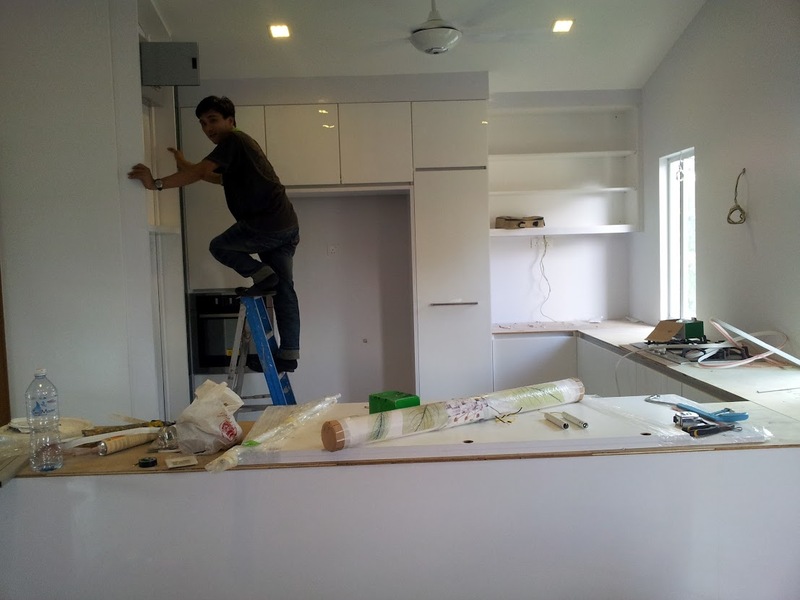 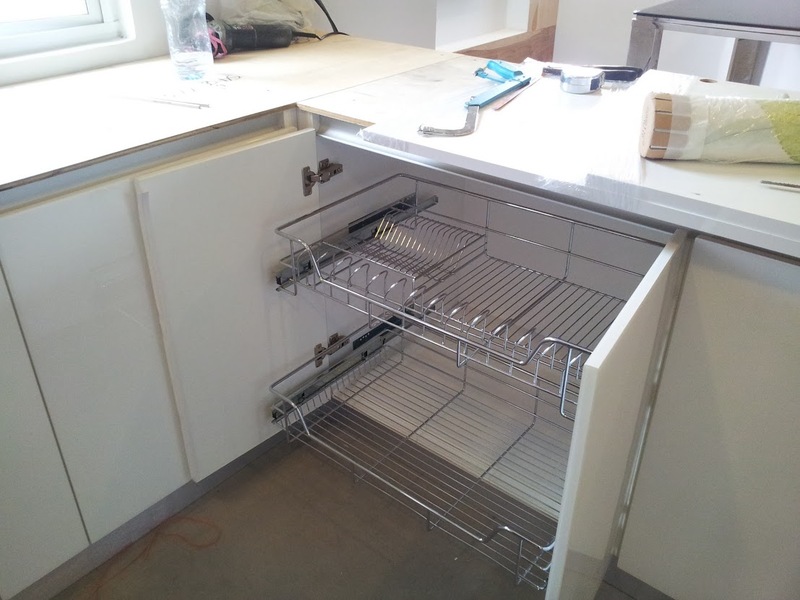 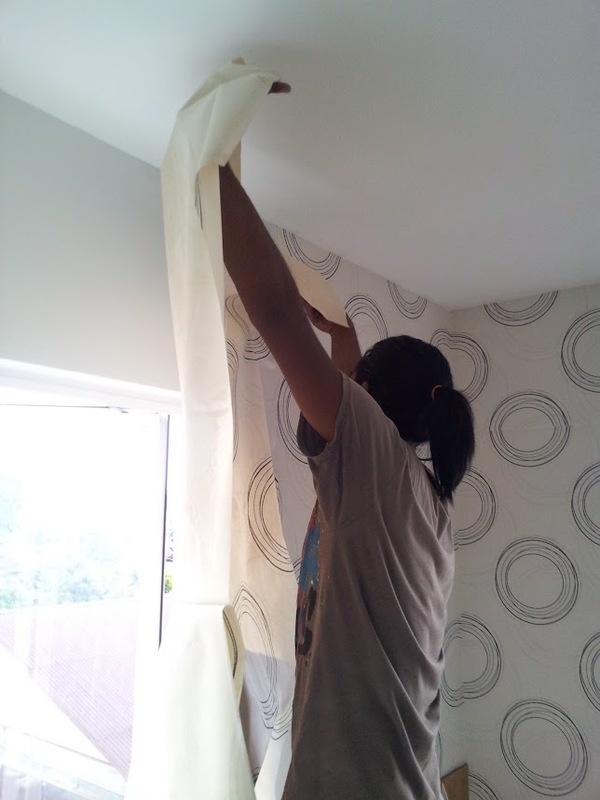 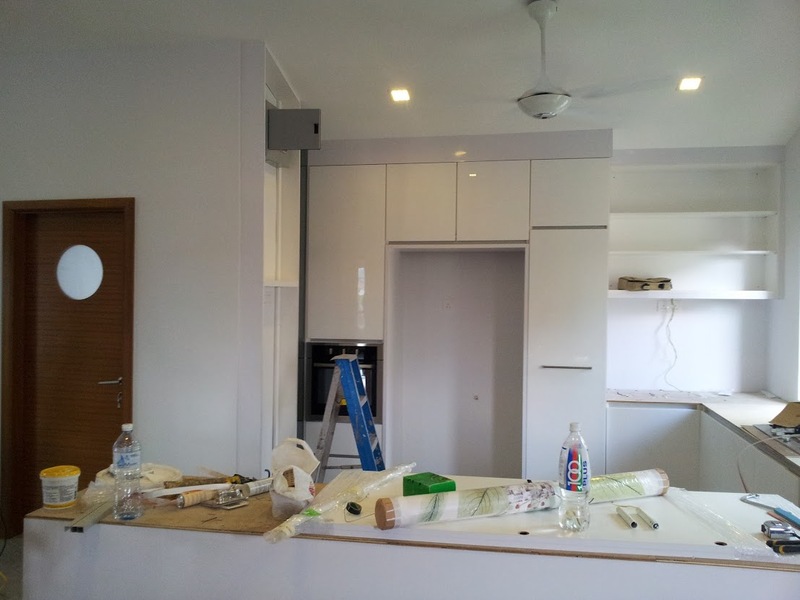 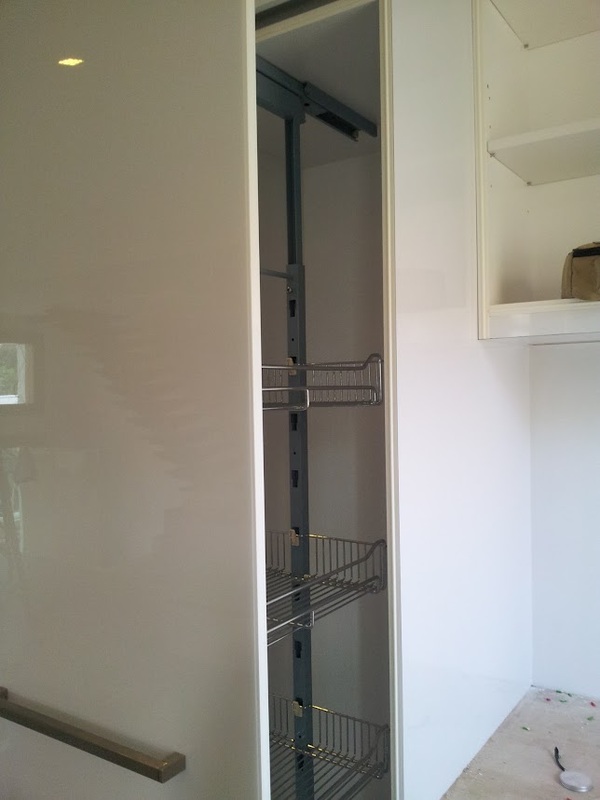 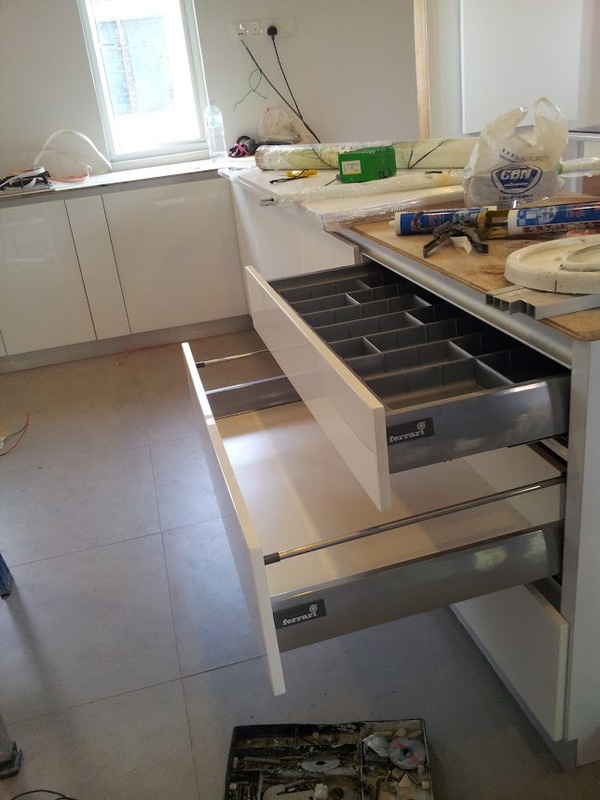 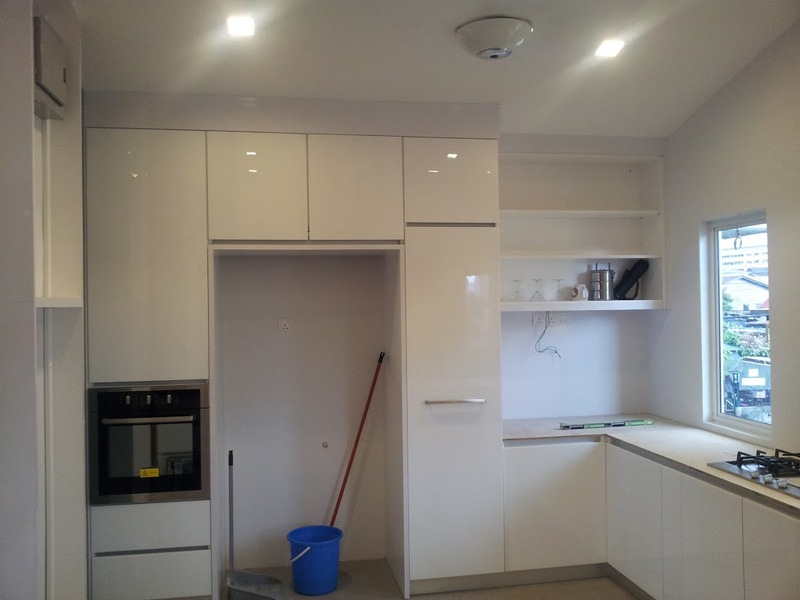 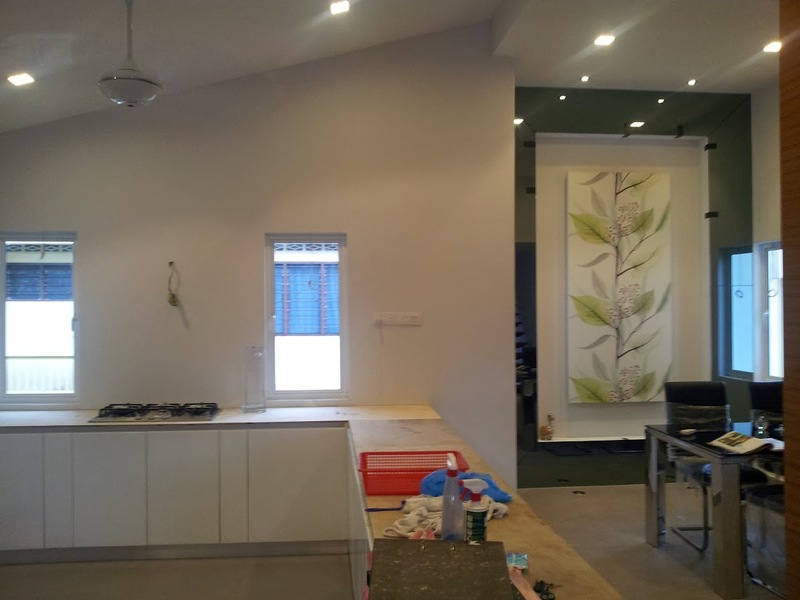 Installing kitchen cabinet c/w solid surface counter top, hi gross acrylic door and kitchen cabinet accessories. 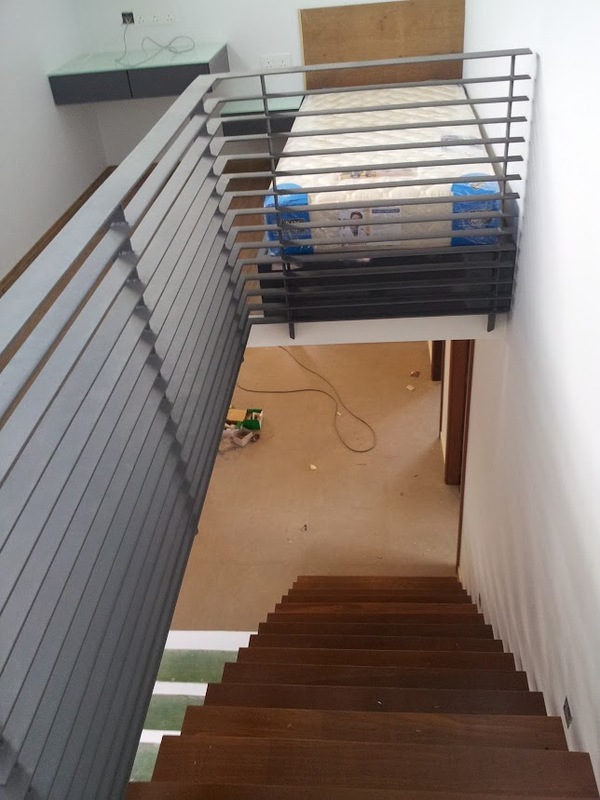 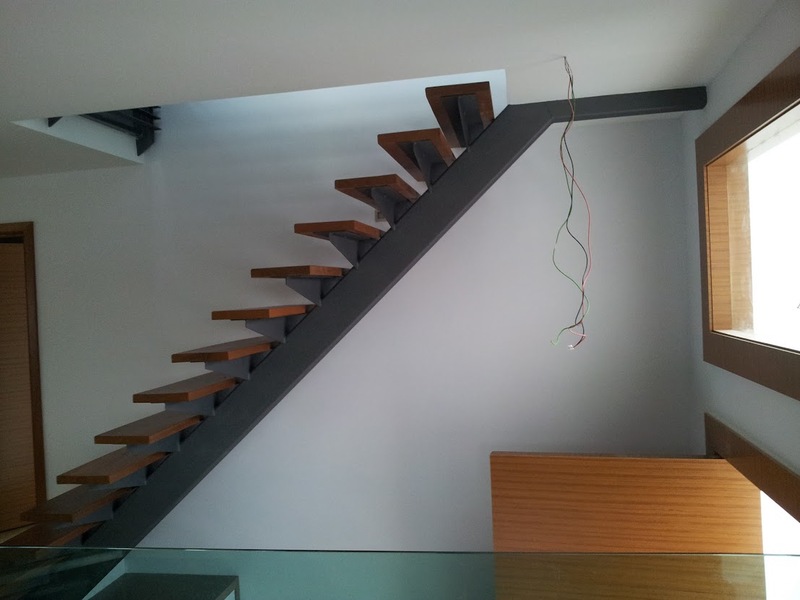 Wooden staircase access to mezzanine floor c/w MS steel support. 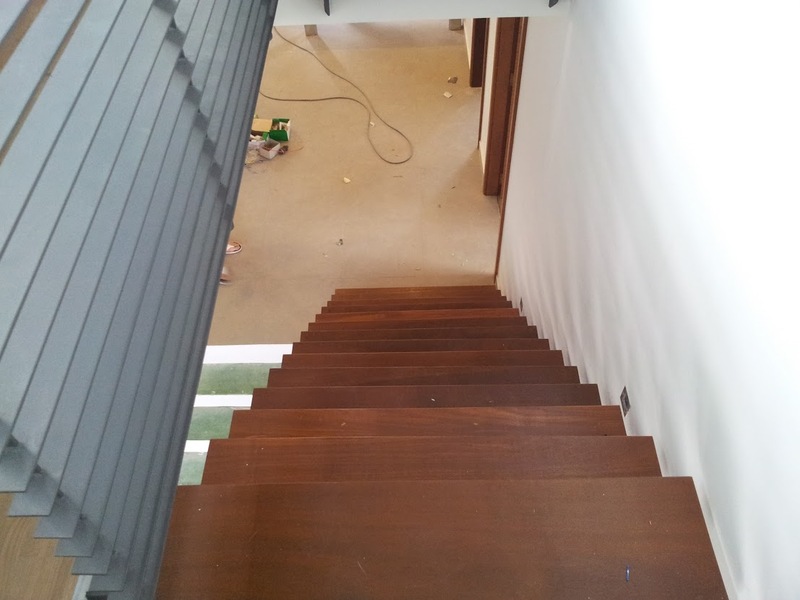 Mazzanine floor with small study area c/w wooden flooring and MS hand rail in matte paint finished. 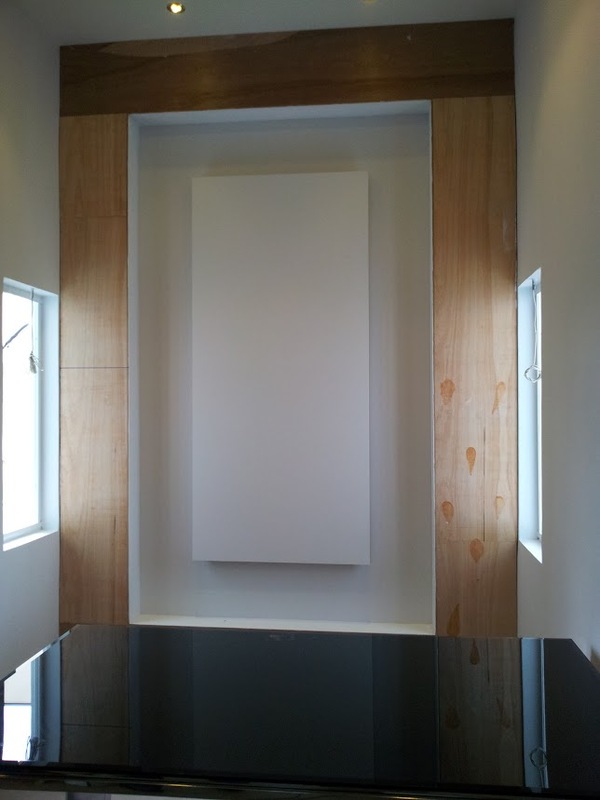 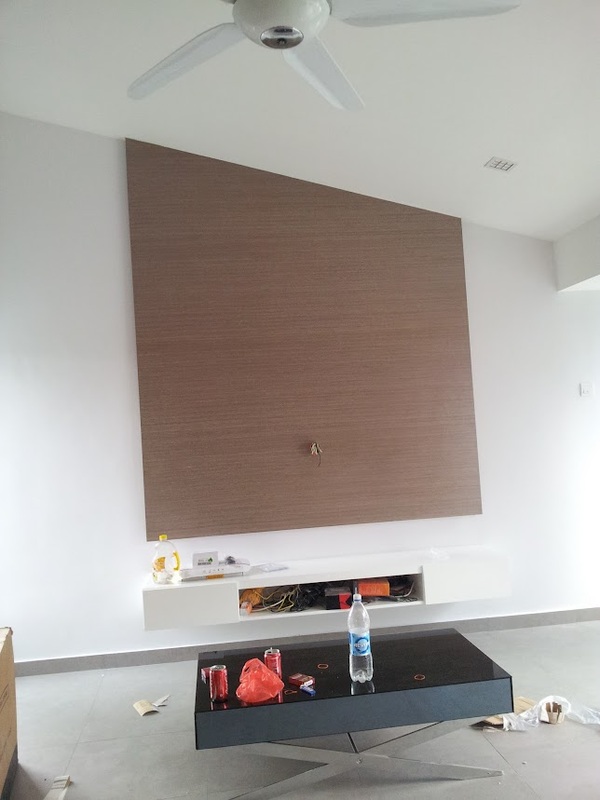 Simple feature wall with nature wood panel and multimedia hung cabinet. 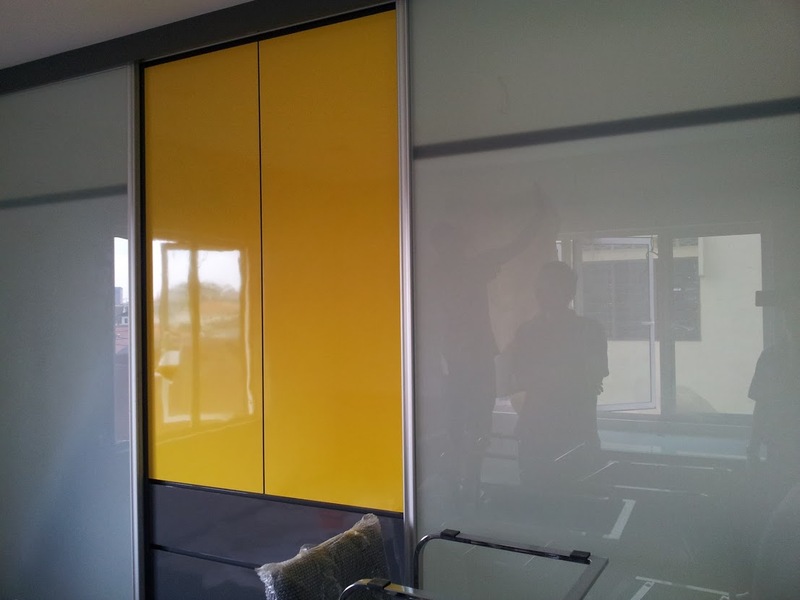 Display cabinet at dining area c/w wooden frame and grey mirror. 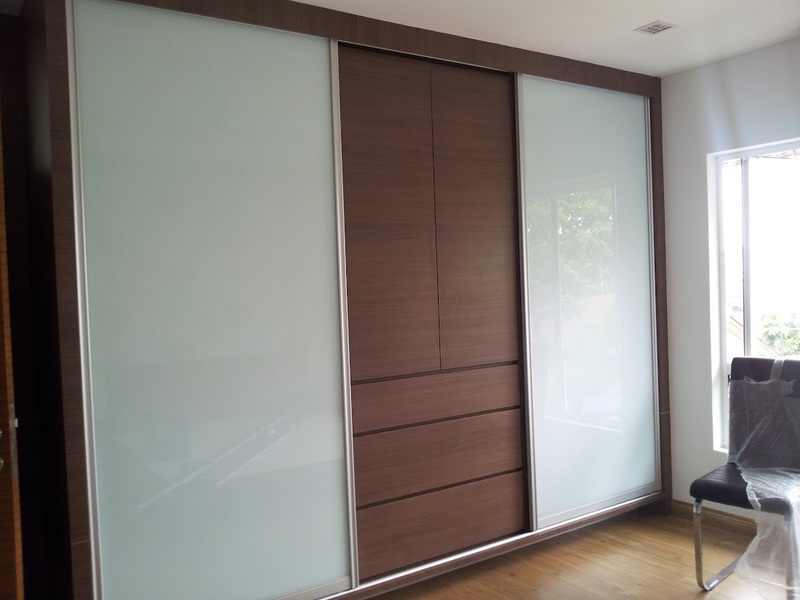 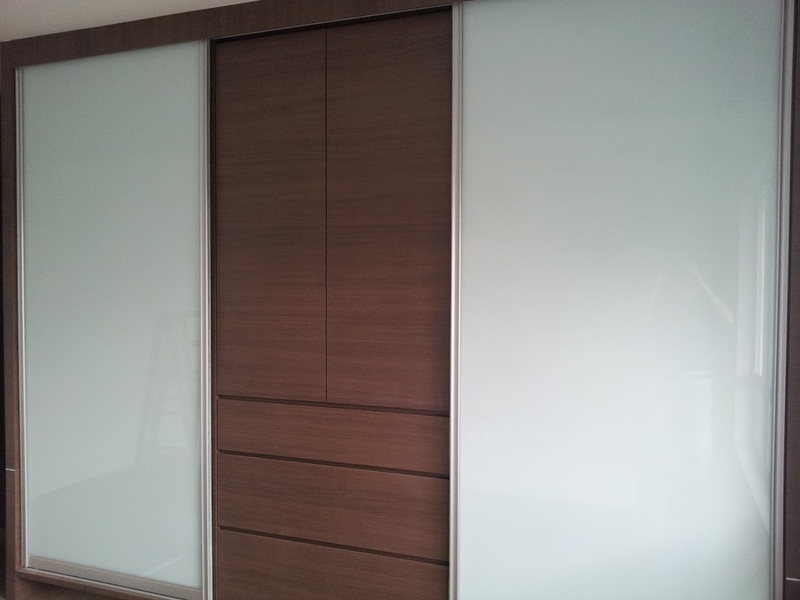 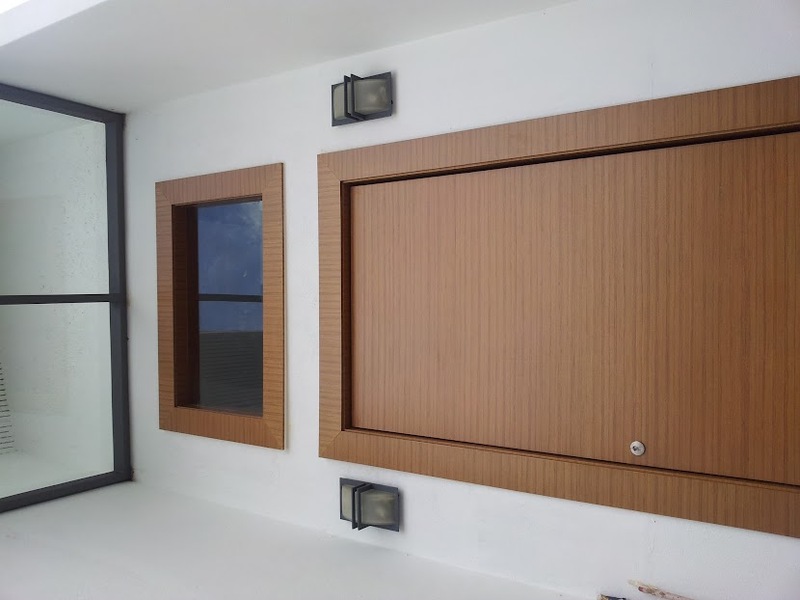 Bedroom wardrobe with large sliding door in color glass and nature wood finished. 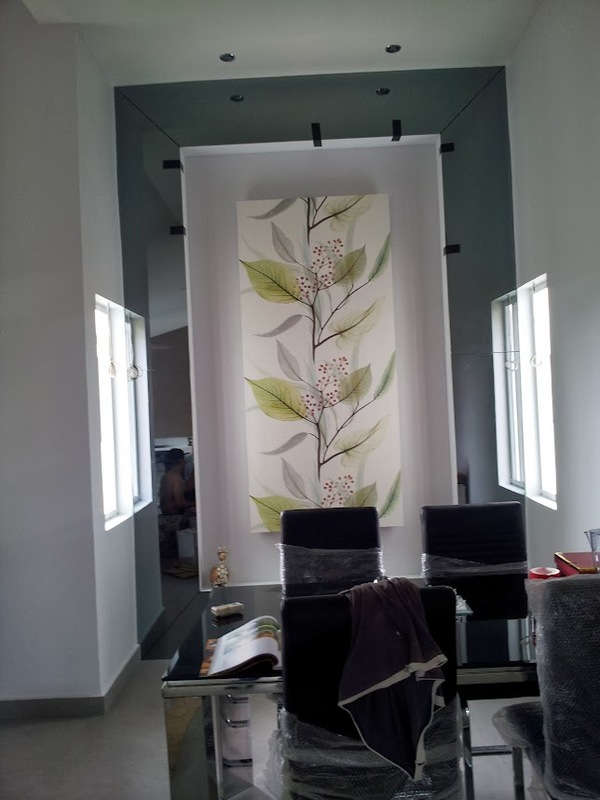 Toilet wall with full height wall tile and glass roof with rainfall shower head. 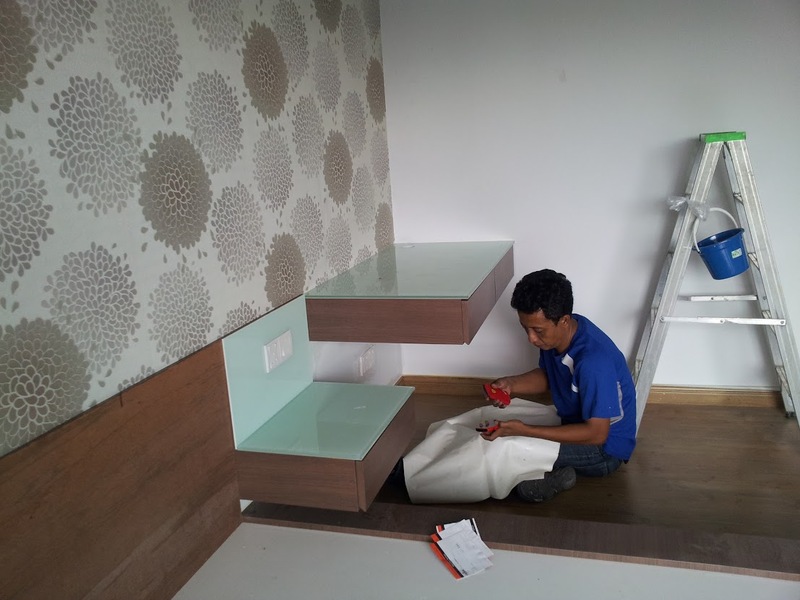 Dining area with display cabinet. 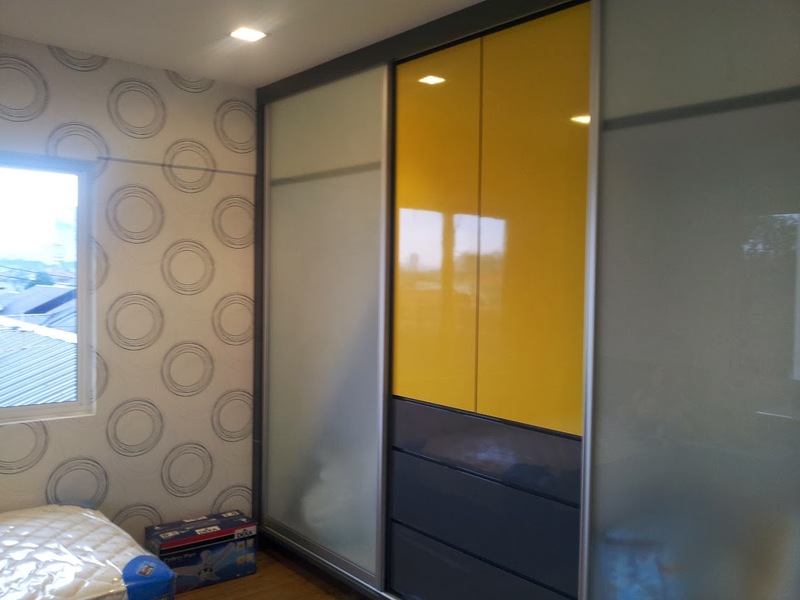 Mater bedroom wardrobe and wall with wallpaper. 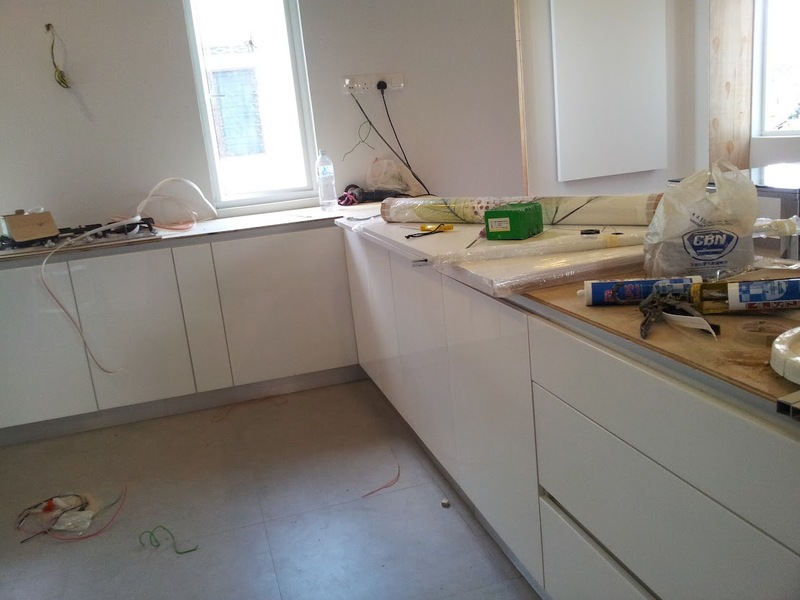 Kitchen cabinet .. solid surface yet to install..
Full photo album you can refer here or follow our Goole+ page here or our Facebook here.